The Cannabis industry is booming and so is amazing branding and creative content around cannabis. We at Marigold can appreciate killer content when we see it and we want to give a shout-out to some of the incredible work being done in the industry. Here are some of our current favourites. Enjoy! Just like us at Marigold, HEXO struck gold at the AdCann awards this year, winning the Canadian campaign of the year award. They also won at the Lift & Co. awards for Cannabis Product of the Year and Innovation of the Year. With bold colourful branding, HEXO stands out in the crowd and their NeverJaded.ca Flower Shop and events are fun and unique experiences expertly curated for a good time. Our friends at The Her(b) Life are creating breathtaking content for women who love cannabis. Their website, social media and the magazine are expertly crafted to give women what they crave- honest and interesting informationpackaged up in an aesthetically pleasing way. 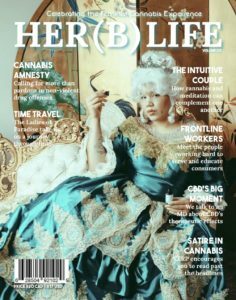 Cannabis, feminism and beautiful imagery go hand in hand at The Her(b) Life and it’s resonating with women all over Canada. We just can’t get over satirical site, High Heels for Her. 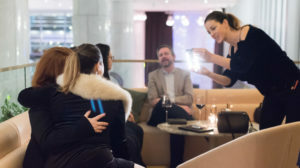 High Heels for Her was created by fictional male entrepreneurs but is actually a parody site created by Unity Marguerite founder of the brand BlyssCloud, Lifford Cannabis CEO Lisa Campbell and Jenna Valleriani, postdoctoral fellow at the BC Centre on Substance Use. The site launched on April Fools Day and used highly sexualized images of women, referred to women as ‘girls’ and had blogs such as “How to Roll a Joint He’ll Love”. High Heels for Her satirizes female branding developed by men, while also providing information about the ways that men and women are still unequal in the cannabis business. Puff Digital is a creative agency that specializes in innovative work in the cannabis space, and we’re loving their podcast Into the Weeds. Ben, Bubba and Efrem are fun, engaging hosts but the really great thing about this podcast is the diversity of the guests and topics. 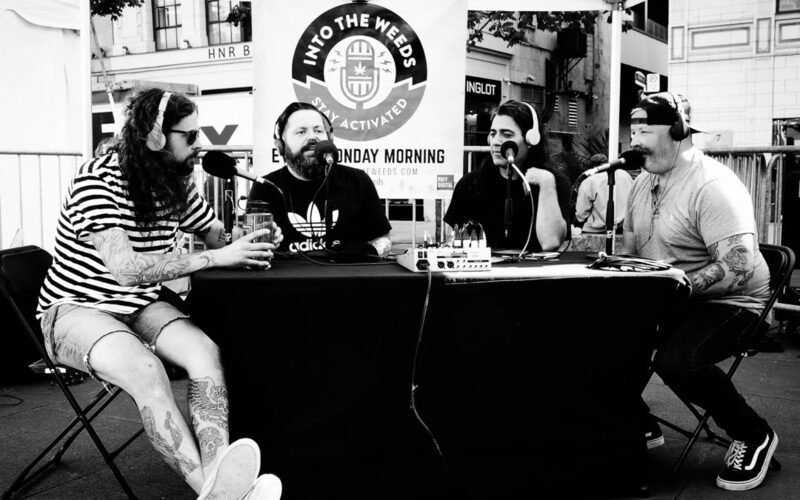 Into the Weeds gives listeners the best of both worlds with fun conversations and really interesting insights into the world of cannabis and cannabis businesses. Whether you’re in the industry or you’re just interested in cannabis, Into the Weeds is a great listen! Ethical Image is using their genius not only to create great cannabis content, but also give back to the world.For every project Ethical Image completes, 100 trees are planted in Africa and 1% is donated to the client’s charity of choice. Ethical Image focuses on photography and videography for many notable cannabis expos, parties, production facilities and brands. Did you think The Growth Op was just a cannabis news outlet? Well, think again! The Growth Op not only reports on all the latest cannabis news and trends, they also produce fantastic video content that covers a wide range of topics. Whether you’re interested in cooking with cannabis, have legal questions or are looking for insightful brand and product spotlights, The GrowthOp’s videos have information and entertainment for everyone. Are you loving these campaigns and cannabis content too? What amazing creativity have you seen in the industry lately? Let us know in the comments section! MARiGOLD Marketing & Public Relations | Serving Licensed Producers and National Brands.